There is ample metered street parking, as well as a metered parking lot to the rear of the restaurant. Meters end at 6:00pm. We offer personalized catering services, please contact the restaurant for details. Homestead offers a private dining room seating 8-12 guests. We offer our nightly menu, to be ordered individually or to be shared family style. With advanced notice we can personalize the menu for special events or celebrations, adding in special dishes, etc. For larger parties of up to 55 guests we offer a full restaurant buy-out, for which we collaborate with the host to decide on service style and menu. We also offer cake decorating services to help you celebrate your special event. Homestead was founded by husband and wife team Fred and Elizabeth Sassen in 2013. The menu is driven by Fred and Elizabeth’s cooking-by-hand philosophy as the couple makes nearly everything in house, and the dishes are inspired by the couple's travel, nostalgia and California's amazing products. The dining room is rustic and intimate with an open kitchen running the length of the dining room, culminating in the wood burning hearth. The restaurant is inspired by Elizabeth's great grandparents who were homesteaders in Wyoming at the turn of the century. With hospitality and a daily changing menu the couple strives to offer an experience that is an extension of their home; a place to have a meal with a sense of family and community. Please note: We take a limited amount of online reservations. Please contact the restaurant for additional availability. The host and servers were absolutely lovely, as always! We did the chef’s choice special $90 per person. Homestead’s food had been among my very favorites on all of my previous visits. 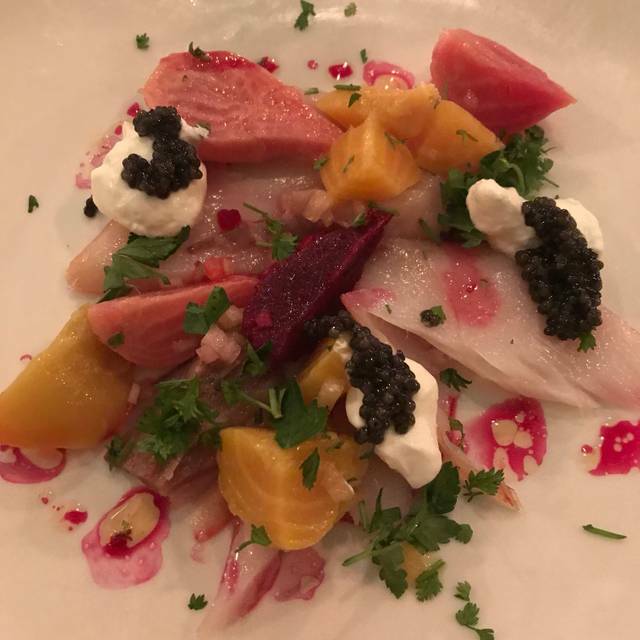 This time, the salad was not as fresh as I expect from Honestead and the fish was a bit over cooked...The food would have been ok considering we were celebrating my son’s birthday and were really enjoying ourselves...but the restaurant had a sewage problem. We could smell sewage....Maybe the chef was dealing with a plumbing issue? I didn’t ask them to discount our bill because of the smell. I regret that I didn’t ask. For nearly $500 check for 4 people (3 glasses of wine). I’m not sure I’ll go back. Consistently delicious, with a warm ambience and friendly atmosphere. Homestead is a quintessential Oakland neighborhood gem. Imagine a fine dining restaurant in a rustic northern California space with a wood oven and open kitchen. . . then imagine that the staff are friendly and informal but very attentive and well-trained. . . and then imagine an array of dishes that combine comfort with unique flavors and exquisite attention to the cooking process! Then imagine it's in your neighborhood! Even better. Don't miss a visit to Homestead and especially for Sunday supper! 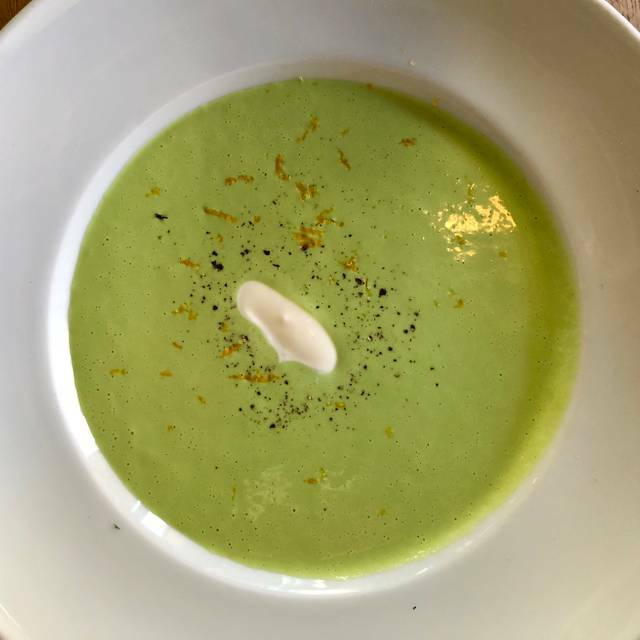 After a outstanding start (Atmosphere, seating, service, and greetings) we enjoyed an excellent chilled split pea soup. Sadly from here on, the meal plummeted. We were served a porkbelly (fatty) and scallop (exquisite) with greens that were so salty that we could not help but immediately set down our forks in dismay. Sadly the shakshuka had promise, but again was over salted. I would not have criticized as I actually like a little extra salt, but this was too much even for me, and my partner visiting from Chicago was not able to finish. Homestead usually delivers flawlessly, and I hope this is not a new turn in a salty direction. For now, we will visit elsewhere. The bread was hands down the best part of the meal. The food is pretty overpriced for what you’re getting and it way over seasoned and over salted. The ribeye was probably one of the chewier ribeyes I have had. The ambiance and staff are lovely. I am disappointed the food was not that great, especially for the price. Solidly prepared food using creative and fresh ingredients. Service was friendly and responsive. Seemed pricey, even considering menu prices include gratuity. Wine selection was VERY limited at price points under $100. Bathroom needed attention. The best and most wonderful place to be with loved ones! The space was small and a little noisy, but overall it was not a problem. I was able to have a moderate conversation with my dinner partner. The food was okay, I expected better. 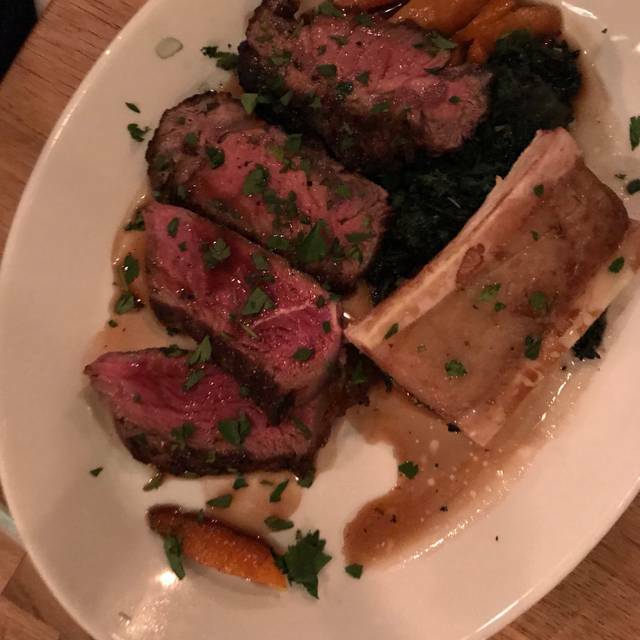 I had the scallops and my partner had the ribeye. We shared the fruits de mar dish. I loved the polenta, but the charred items were a little too bitter for my taste. Overall, it was nice. I especially loved that the staff are paid a living wage - I am going to give them another try just because of that one feature. Awesome experience and love that is done by people who care about food and flavors. The salad had amazing flavor and the cheese was house made. I also love that they include a wage tip in the cost so that all their staff are properly paid. Have eaten here many times and the food is always terrific. They take the time to come up with interesting variations of some dishes, and that wood fired oven is a dream. Parking is a breeze. Get in here! Wonderful food and fabulous service. I think we had the most kind server with one of the warmest smiles ever. This is a neighborhood gem for sure. We will definitely be back. 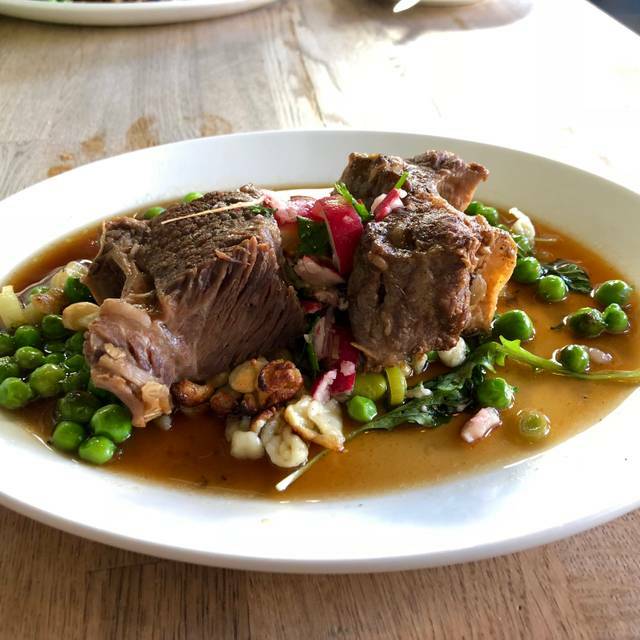 Homestead is always excellent -- the staff is attentive, the food is always inventive, fresh, and delicious, and the ambiance is great. My favorite neighborhood spot. LOVE this place. 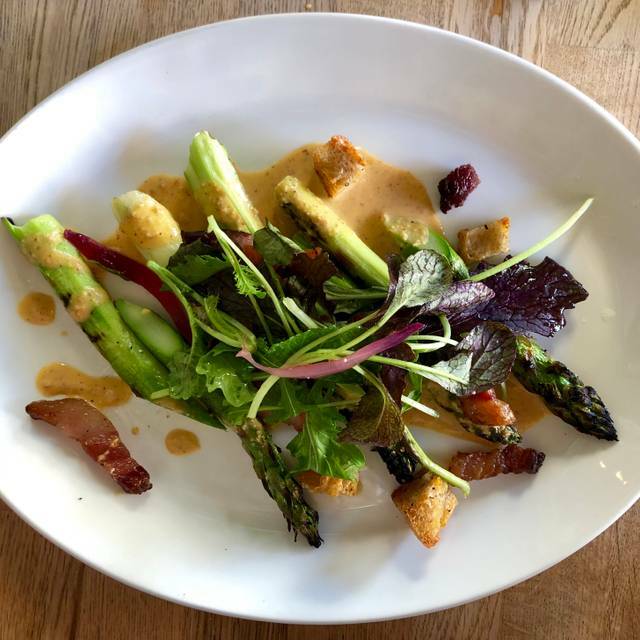 Deliciously, lovingly, artfully prepared farm to table food. Personal, cozy environment. Seasonal menu is always changing. 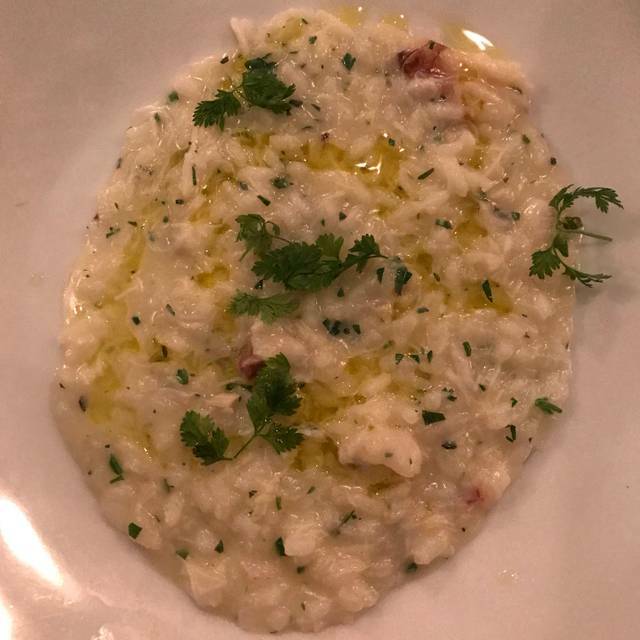 I eat dinner here weekly (generally enjoying 4-6 courses) and have not been disappointed in one dish yet. The purveyors and staff are knowledgeable, generous and friendly. I always feel like I'm eating at my (dream) family's kitchen in provincial Europe. The entries were very good but the small share plates very small - at least for six people! Fantastic experience! Excellent service, delicious food, and incredible bread. I really appreciated that the waitstaff was extremely friendly and went above and beyond for us. I had forgotten to print out our tickets for an event we were attending after dinner and the manager printed out our tickets for us and brought them to our table! Cozy atmosphere and welcoming staff make it a great East Bay spot for a romantic evening. Great wine list, but could have some less expensive selections. Beef entre was excellent, however the pork dish was overcooked. Portions were large. Two of us could have split one entre. Fantastic! Plenty of easy options for vegetarians. Fresh food, creatively prepared, cozy ambiance & knowledgable & friendly service are the hallmarks of Homestead. As a vegetarian, I truly appreciate that they always have at least 1 veg-based entree that isn't the usual 'pasta or pizza' option. We asked for a quiet table, so I gave it a low-noise rating, but it can get pretty loud towards the front. The back table is for communal dining, which is a great option. I love that they pay their staff a living wage - yes, prices are higher on their menu, but it covers the gratuity that guests would usually pay. 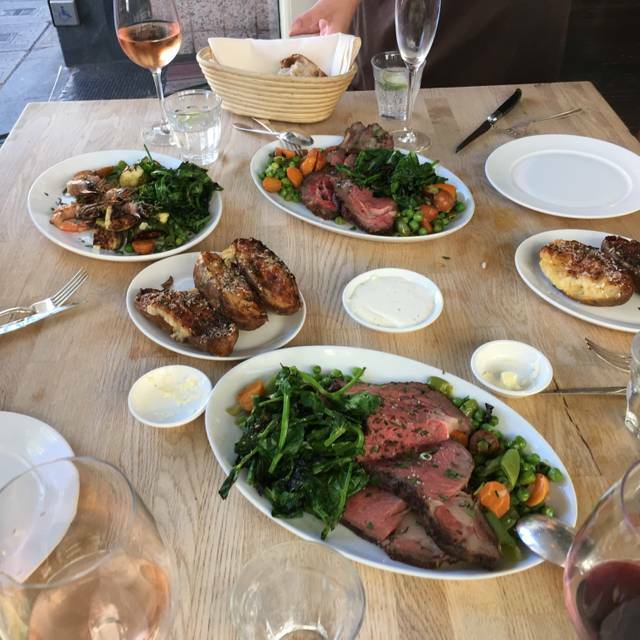 This was the best meal I have ever had in my entire life (and I am a total food snob, having owned multiple 4-5 star restaurants in NY, and eaten at many of the best restaurants throughout the world)! Everything was perfect. This is hands down my favorite restaurant! Warm, wonderful, delicious. Great staff! We love their seasonal menu and the bread they bake is out of this world. Homestead keeps getting better and better. In fact, this was a fabulous meal. We had the Tombo tuna appetizer, and for entres the Duck confit, and the Trout. Followed by the King Cake for dessert. Flavors of each dish were wonderful, full of flavor, cooked to perfection. Service was top notch. Attentive without being intrusive. Great experience. Been here four times. Loved the first 3. This time it didn’t feel special and the food was unexceptional. It was very disappointing. Wonderful ambiance. Our server Andrew was warm and knowledgeable. Great food. Limited menu, but tasty food. Service was not great. They were 20 min late for our reservation and left our party awkwardly standing in the front entry. They were not particularly apologetic about the whole thing, although did provide a complimentary app (happened to be an item we specifically told the waiter we didn't want, but its the thought that counts). Overall good, but wont be rushing back. They provide us 2 wine glasses and they charged us $60.00 for that! A wonderful neighborhood restaurant. Menu changes every day and there is a choice for every type of diner. Great wine list too. Fantastic!!! Have the tasting menu! Open Table hardly never steers me wrong. My wife and I had dinner at Homestead close to closing after leaving a venue in Berkeley it was only 7 minutes away. with a real southern style of hospitality. I love the fact that there is a clean view of the kitchen area. A clean organized kitchen is always a plus. We were greeted and seated immediately. Our waiter was knowledgeable about the menu and offered suggestions. Tips are included and the prices were still very reasonable in my opinion. We still left an additional tip to add to the pot which all employees split. The food was well proportioned, light, and flavorful and desert was delicious. We will definitely return to Homestead. Loved it. Food and ambiance were great. Service attentive and bread delicious. Excellent service and delicious food. Easy parking and great location. We are lucky to have this amazing place in our neighborhood. It is our go to with visitors from out of town. Service was amazing and friendly. My husband and I came here for a date night on a Wednesday evening. Service was great, and I felt like we were well taken care of. The bread that came out before our food was nice and soft, and the butter was the perfect temperature for spreading. To start, we shared the beef carpaccio. This was unfortunately a miss for me, as I found it so salty that I couldn't really taste the beef. As a second plate, we got the quail. The flavor of the quail was good, though nothing that really stood out. The other ingredients on the plate (broccolini and something else I can't remember the name of) were pretty tasty. The third plate was a real winner, and really sold the meal for us. We got the duck, and it was delicious. The pea sprouts and the potatoes that were part of the dish were also really tasty. For dessert, we got the meringue profiteroles, which were delightful. Looking at the drink menu, I was immediately impressed that they had beers marked off as after dinner beers, as I often find that many places don't value beer highly. There were also a lot of interesting bottles that are harder to find in the bay area, which was nice to see. I always enjoy trying new beers, and it's less common to experience that at a restaurant that isn't primarily a beer place. One downside for the dining experience for us was that we were seated at a table near the door, and every time the door opened, it went a wave of really cold air our way. Not really sure how you would fix that problem, but I definitely got cold whenever someone entered or exited. Overall, I really enjoyed the meal here, and it was a nice place for our little date night. I could see myself coming back again. Since tips are included, the prices on the menu allow you to choose from a tapas-style menu in three courses. 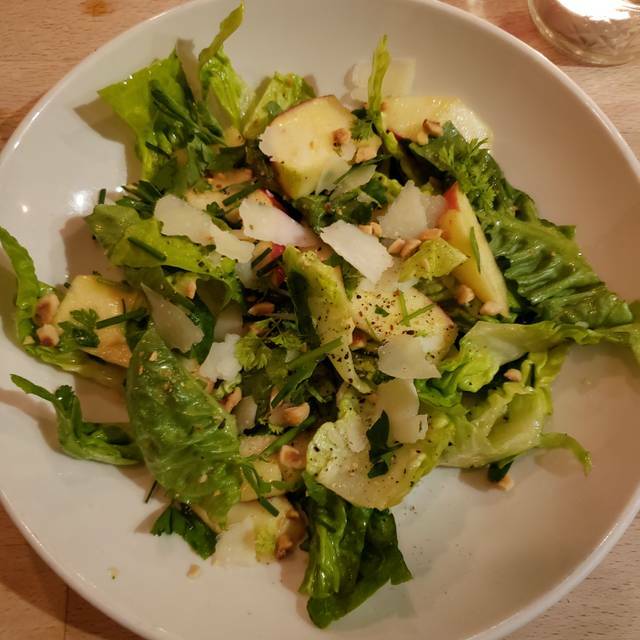 We loved the little gem lettuce salad with fresh apples (topped by a mysterious maple Dijon dressing) and the short rib. The quail and duck were a little undercooked, but the two desserts were both excellent: a lemon-ice-cream filled profiterole and a warm pot of chocolate cake/pudding. Will return! Great chefs, great service, and a great environment. 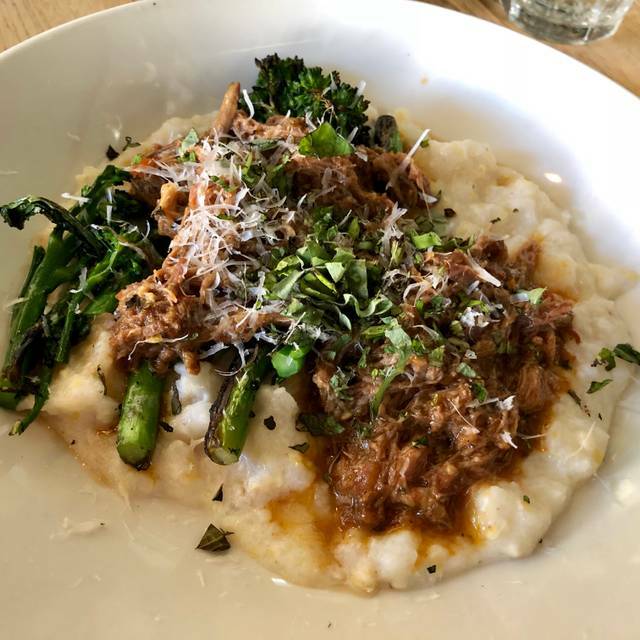 Had 2 great entrees along with one unusual and delicious appetizer, and let our server know that the broccolini appetizer was a disappointment--she thanked me for the feedback so the dish could be improved. Service was good and friendly and the place is wonderfully quiet enough so that my wife and I could enjoy talking together without the background noise making it a struggle to converse. My second time at Homestead and I'll be back. Wonderful Prix menu the night that we went, perfect wine pairings. Only thing I would change is ask them to go a little lighter on the finishing salt. This review is about their prix fixe Valentine's dinner. The four course meal was OK in terms of selection but courses had rather small portions. The 10 wines by the glass were very idiosyncratic in terms of varietals and labels, and not worth the price given the quality. Overall, at $115 per person is was not a good value. This was the first time we visited Homestead and will not be going back.